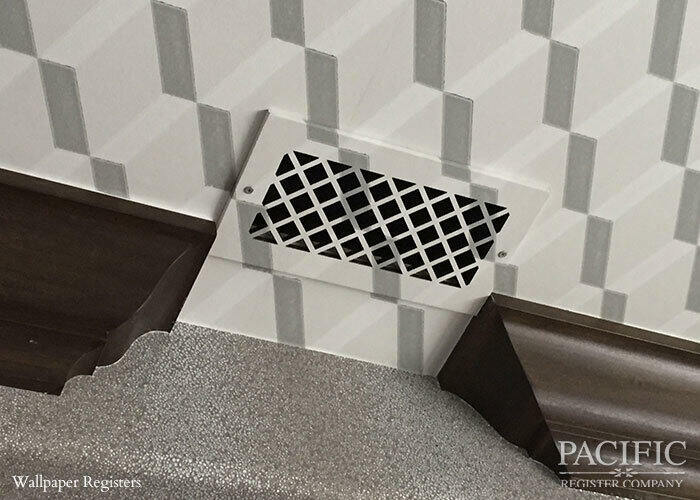 Pacific Register Co designs and manufactures registers, grilles and vent covers for a wide variety of custom applications. Browse the examples below to see some of our past projects. Contact us for a quote on any project. 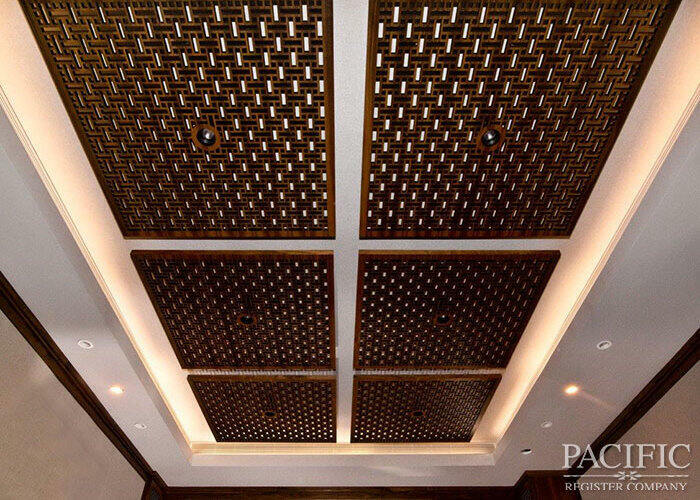 Accent the architecture of your home with these unique patterns. 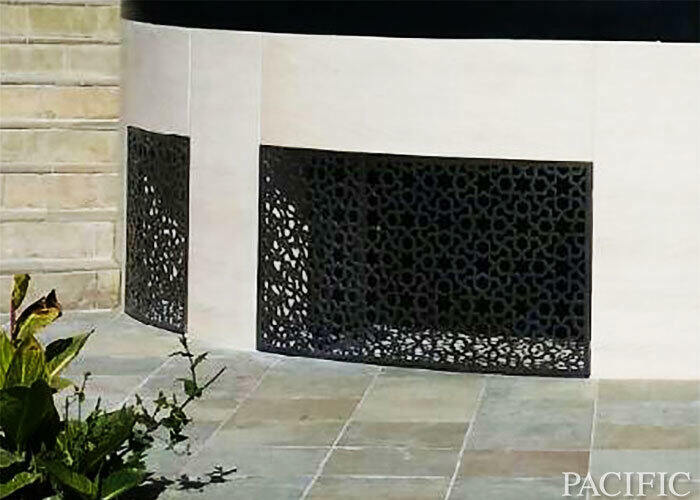 Perfect for patios, porches and other exterior areas. 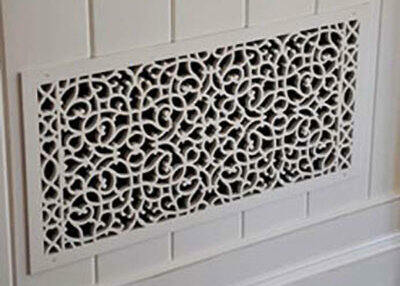 What to do with a register on a wall that you want to wallpaper - can be mounted with finish nails or screws. 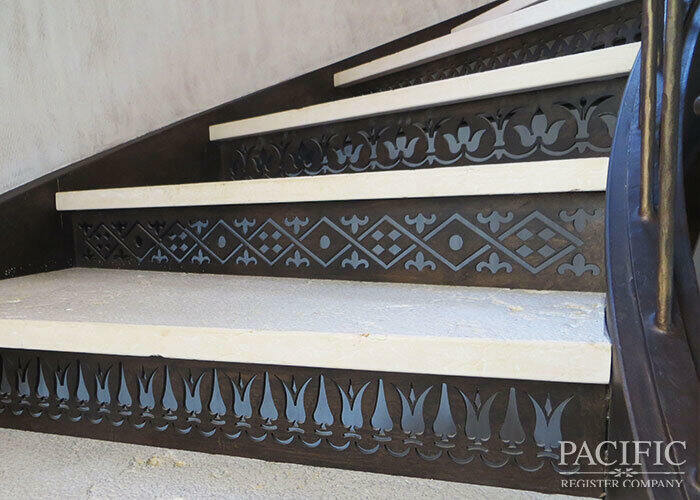 Custom wood panels can be built in any shape, size or pattern to fit your unique application. 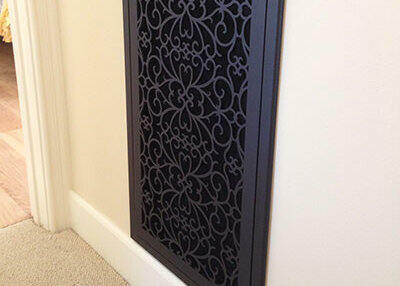 Metal registers can be custom made in a variety of sizes and patterns. 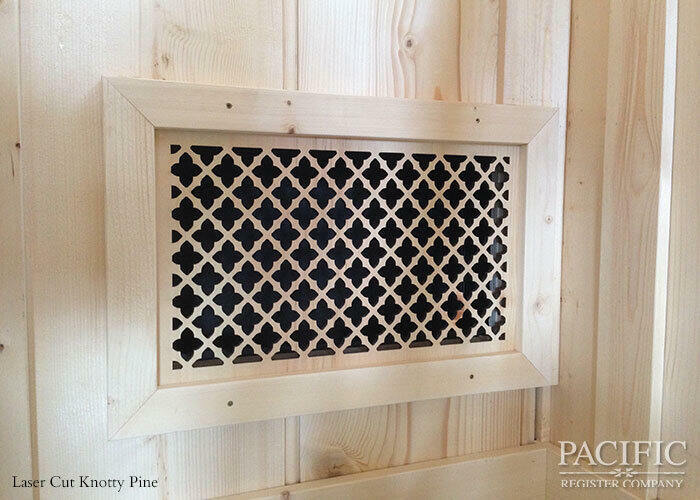 Laser Cut Wood registers can be custom made in any pattern and with any type of wood to match your walls. 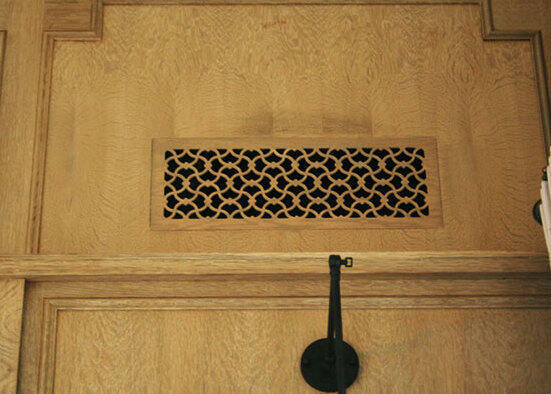 Floor-mounted registers can be made from wood, stone, or metal, in a variety of sizes and patterns. Custom made to match your cabinets. If you can dream it we can make it. 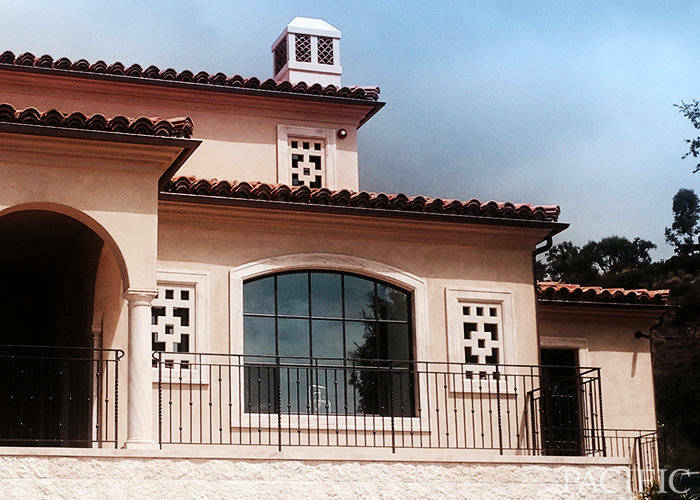 GFRC Grilles can be custom made to a large variety of sizes with any of our custom patterns. 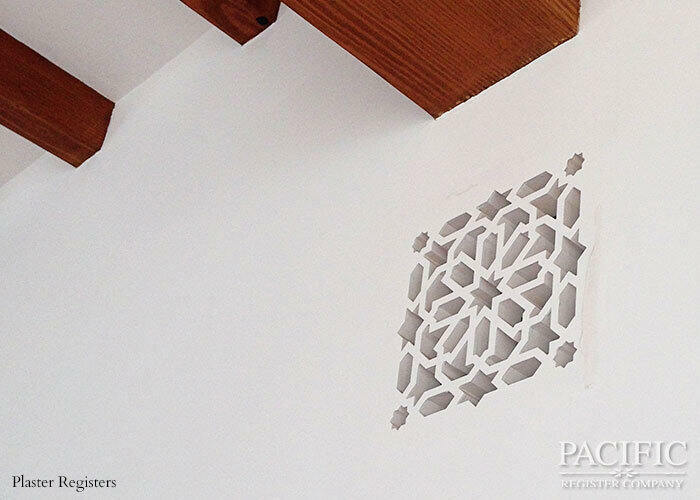 Plaster registers can be cut for placement in walls, based on the unique requirements of your construction or remodel project. 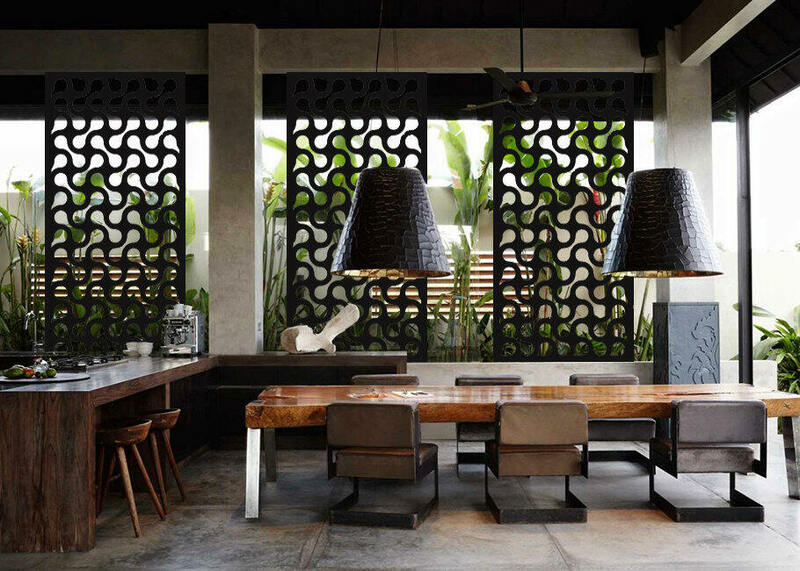 Plaster accents can really tie a room together. Use any of our custom patterns or create your own. 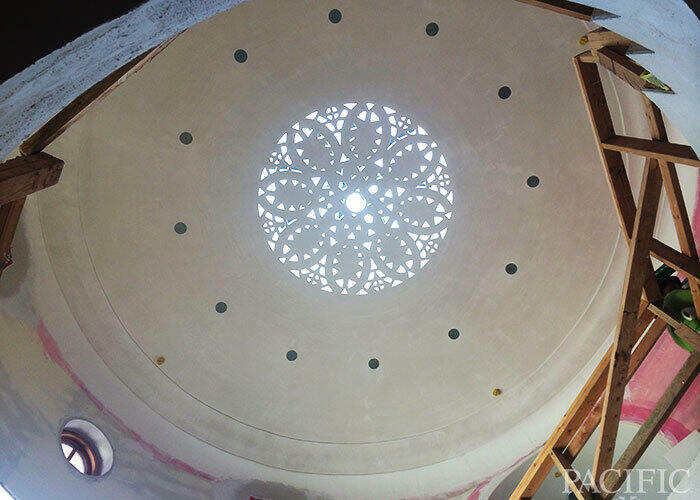 Concrete (GFRC) can be cut to fit many different applications using any of our custom patterns. 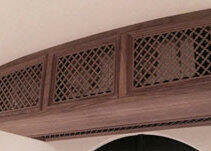 Flush mount frames enable registers to be installed flush to the wall during the framing stage of construction. 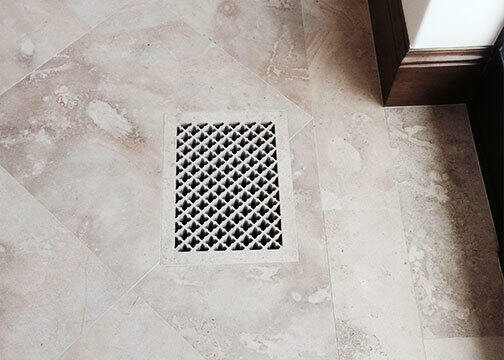 Filter grilles have a removable face, making installation and filter changes a breeze. Available in any wood species ranging from Alder to Zebrawood. 1/4” thick bronze plate rolled to match the radius of stone. 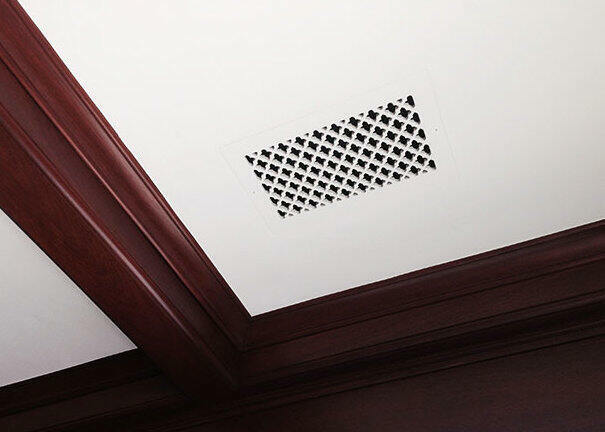 Pacific Register Co. can add that custom touch to any part of your home.